So I was at Target the other day, and found this wonderful candle. It smells amazing, and I want it. However, as you can see, it is $17.99. No. Way. I found a similar scent at Wal-mart, for $4. I accidentally took off the label though before I took a picture. Fail. 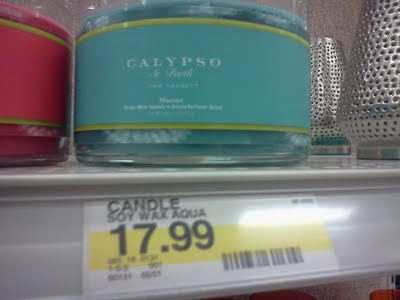 I love this Calypso brand that Target is carrying.